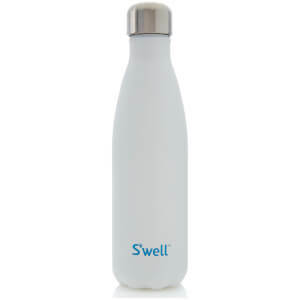 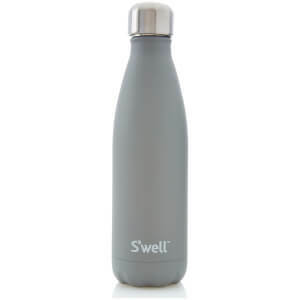 The Titanium Water Bottle from S'well from the Metallic collection features a glossy, reflective finish and is supplied with a flexible carry bag to protect the premium finish. 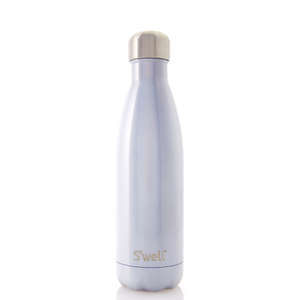 Crafted from double walled stainless steel and vacuum sealed, the reusable bottle will keep drinks cold for up to 24 hours and hot for 12. 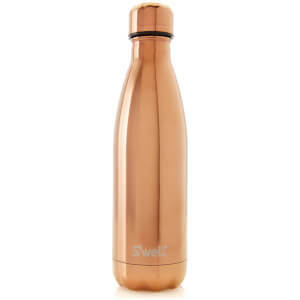 The 500ml container boasts a wide neck, large enough for ice-cubes and effortless, drip-free sipping that will fit in a standard sized cup holder and is ideal for daily use, travelling or sports.